Days after several ISIS terrorists launched multiple deadly assaults in Paris, leaving 129 dead and hundreds wounded, other countries around the world are taking new measures in the hopes of combating extremism. Senegal has banned burqas out of fear of terrorism, concerned that extremists will use the garment to hide their identities. It joins a growing list of countries with similar bans, both in and out of Africa. Several countries in Europe and the Middle East have also banned the garment. Though the common denominator between them is fear, each country has its own unique relationship with Islam. The burqa is not a matter of religion ... When the full veil is a security problem, all Senegalese should support the president in this regard. We will surely [move] towards banning full veil and we will work for this decision to be followed up. In recent years, Senegal, where an estimated 92 percent of the population is Muslim, has faced growing violence from Boko Haram, an Islamic extremist group based in central Africa which pledged its allegiance to ISIS in March. Boko Haram terrorists frequently use burqas — loose full-body garments that only expose the eyes — to hide explosives, and have used this tactic in dozens of attacks. This year alone, two other African countries have also imposed such bans. Here are all the countries with some form of a burqa ban. In July, Chad outlawed burqas for the same reason cited by the Senegalese government. After bombers wearing burqas carried out two attacks in the capital of N’Djamena, which left at least 34 people dead, President Idriss Deby Itno issued the ban. Roughly 50 percent of the population of Chad is Muslim. The same month, Cameroon also enforced a burqa ban after female suicide bombers wearing burqas detonated their explosives, killing at least 14 people. Though only about 20 percent of Cameroon is Muslim, Boko Haram's presence looms large in the country. France was the first European country to ban the public use of both the burqa and the niqab (which only covers the face) in 2011. The law was passed not only for security reasons, but also to urge its five million Muslims to integrate into French society. Then-President Nicholas Sarkozy has called burqas sexist and referred to women wearing them as "prisoners behind a screen." Many believe this decision has contributed to the country's growing Islamophobia, which has in turn helped led to increased radicalization. The same year that France introduced its ban, Belgium followed suit and imposed one on almost identical grounds. Roughly 6 percent of Belgium's population of 11.2 million is Muslim. Spain has had local bans in certain cities and areas since 2010. For example, Barcelona bans the use of burqas in some public spaces, like the market, libraries, and municipal buildings. However, in 2013, the Spanish Supreme Court overturned the ban, calling it "unconstitutional." Though Italy does not have any laws that pertain specifically to Islamic dress, the country has banned any garments that mask identification since the 1970s. Some individual towns, however, have outlawed the Islamic veil. In the Netherlands, it is illegal to wear a full Islamic veil on public transportation or in schools. 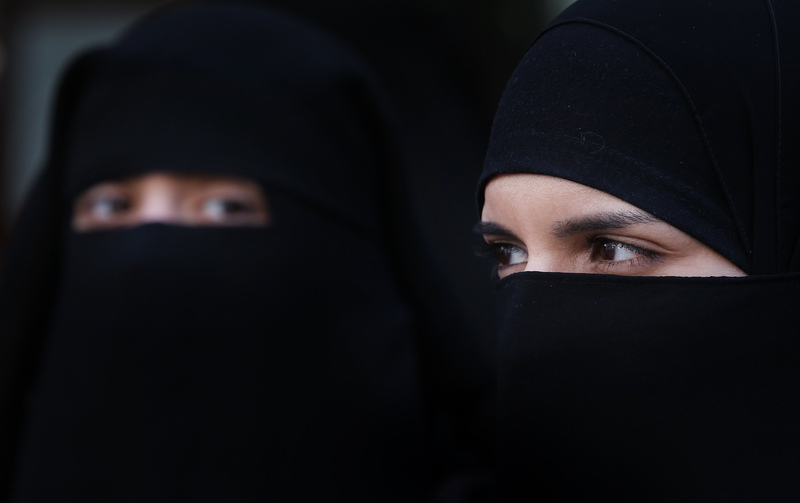 Staff members at legal courts and professionals who regularly communicate with others face to face for their job are also prohibited from wearing burqas. In 2013, the Stavropol region imposed a burqa ban in government-run schools, and the decision was later upheld by the Russian Supreme Court. However, in Chechnya, President Ramzan Kadyrov has directly opposed the Russian law, and ordered that women be allowed to wear headscarves in state buildings. In 2010, the Syrian government banned the burqa and niqab, but President Bashar al-Assad allowed teachers to wear them the following year. The gesture may smack of benevolence, but Syria is experiencing its worst refugee crisis in modern history, as millions of people flee al-Assad's oppressive, violent regime.